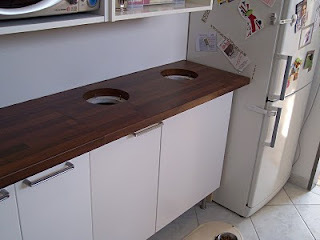 Ikea Hacker has a great post for those looking for a stylish trash or recycling solution. 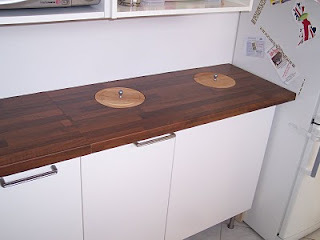 Not only does this hack seamlessly blend in with the rest of the kitchen, but it's also easy to do! 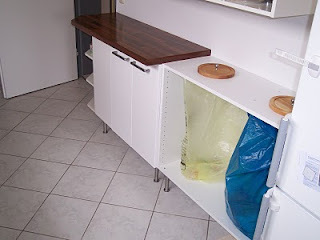 They cut a hole in both the cabinet and the counter and used wodden plates as lids. Love it!